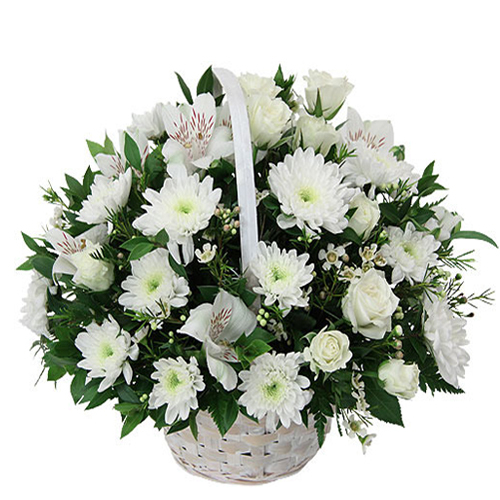 Basket Arrangement of 25 Mix White Flowers with lots of white and green fillers. 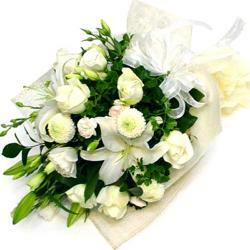 Surprise her this festive season with some fresh and beautiful flowers. We pull out the stops for you to heighten the romance courtesy this lovely combination of white carnations and white Roses with white orchids. 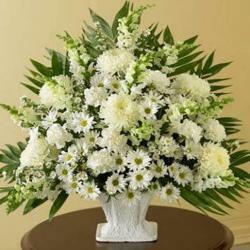 There are Mix white seasonal flowers and fillers as well. The entire ensemble is suitably accompanied in basket of added appeal and usability alike. This flower makes for a unique acquisition this season. From Rakhi to Diwali, this should be on your list. 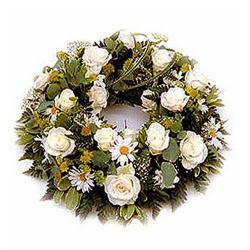 You can send these white flowers to say to thanking, to send apologies, to show respect and devotion and many more. 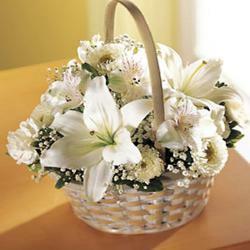 Product Details : Basket Arrangement of 25 Mix White Flowers with lots of white and green fillers.